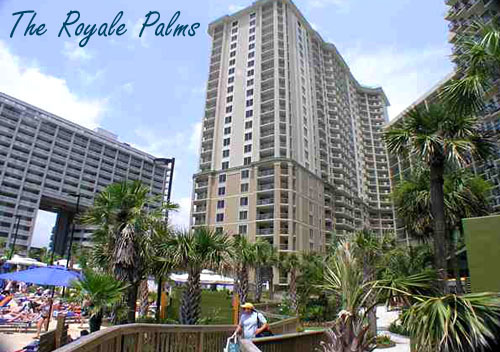 Royale Palms became part of The Kingston Plantation in 2007 when construction was completed on the 24-story luxury condominium tower. 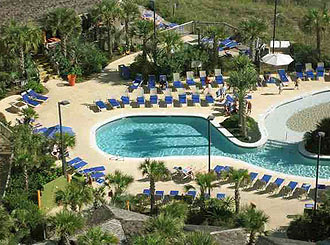 Together with, the Embassy Suites Hotel and the Myrtle Beach Hilton, these resort hotels are known as Kingston Shores. The extraordinary condos are part of the hotel and rental program which means they may be used as a residence or a rental property. Amenities are shared amongst these resorts, which makes it an incredible rental package. More than 15 swimming pools, Jacuzzis, lazy rivers, oceanfront cabanas and acres of beach fill your days with aquatic fun. Play a leisurely round of golf with friends at Kingston’s Arcadian Shore Golf Course. Spend lazy afternoons fishing in one of the many Kingston Plantation Lakes. End the day with a great meal at one of several onsite 5 star restaurants. There is so much to do without ever leaving the property but it you do the whole Grand Strand and all that it offers from shopping to dining to entertainment is just outside your door. The 2-3 bedroom units with full gourmet kitchens and Jacuzzi tubs have all the best upgrades which include stainless steel appliances and stone countertops. There is a pool at the Palms and they share a fantastic water park with the Hilton. These condos are the perfect residence for someone looking for an active retirement or the ideal investment property with lots to offer vacationers. 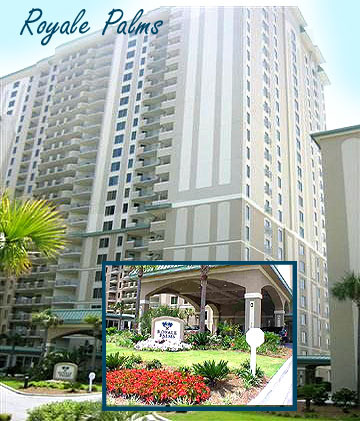 Call us today to schedule a tour of the condos for sale at Royale Palms in Kingston Shores.